DOVER, Del. 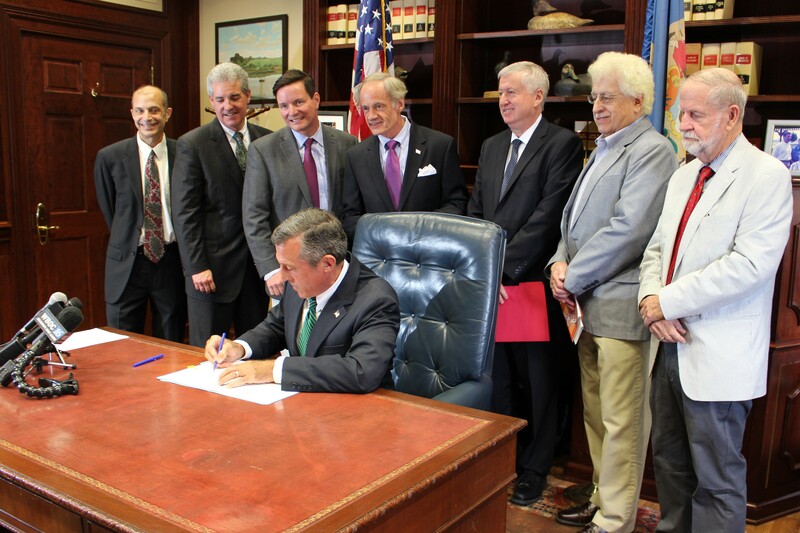 – Governor John Carney on Monday signed an executive order establishing the Offshore Wind Working Group to study potential environmental and economic development benefits of offshore wind development to serve Delaware. U.S. Senator Tom Carper, the ranking member of the Senate Environment and Public Works Committee and co-sponsor of the Incentivizing Offshore Wind Power Act, attended Monday’s executive order signing. The working group will begin meeting next month and will review economic opportunities and environmental benefits of offshore wind development, and the costs and benefits of developing offshore wind. Working group members also will review laws and regulations governing the development of renewable energy, and recommend changes. Additionally, they will identify barriers and opportunities involved in developing offshore wind to benefit Delawareans. By December 15, the working group will submit a report to the Governor that makes recommendations on short- and long-term strategies for developing wind power to serve Delaware, and plans to develop job opportunities in the offshore wind industry. 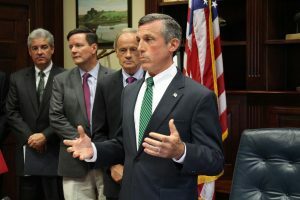 The group also will draft any necessary legislation, including possible amendments to Delaware’s Renewable Energy Portfolio Standards Act. Last week the nine northeast states that comprise the Regional Greenhouse Gas Initiative (RGGI), including Delaware, announced that they would continue the successful emissions reduction program through 2030. The states also announced improvements to the program that will reduce carbon dioxide emissions in the region from the electricity sector by an additional 30 percent between 2021 and 2030. The additional reductions will help Delaware meet the goals of the U.S. Climate Alliance, which Delaware joined in June. The Alliance, a coalition of states, will uphold the goals of the Paris Agreement on climate change. Earlier this month, Governor Carney also sent a letter to U.S. Interior Secretary Ryan Zinke opposing the Trump Administration’s plans to move forward to allow oil and gas drilling in the Atlantic.